Triton's XT14-101 aluminum trailer is a 14 foot tandem axle long two place trailer with a ramp and V-nose. It's lightweight and smooth to haul it won't even feel like it's there! Great standard features like a rubber torsion axle, marine grade plywood deck, and sealed lights make this a versatile trailer. The XT14-101 offers more than most other trailers available on the market today. 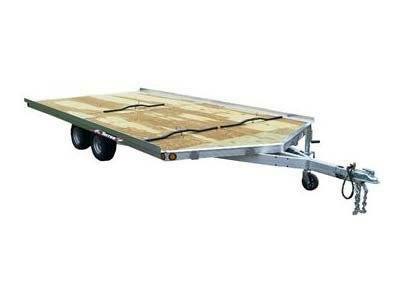 This is a great multi-use trailer that can be use for ATV's, snowmobiles and side by sides.